If there is one thing the French do very well it is this. When they are annoyed by something or someone – a traffic jam, a strike, a colleague who is insufferably ignorant. ‘Faire la gueule’ is a very French way to express one’s discontent – without uttering a single word. 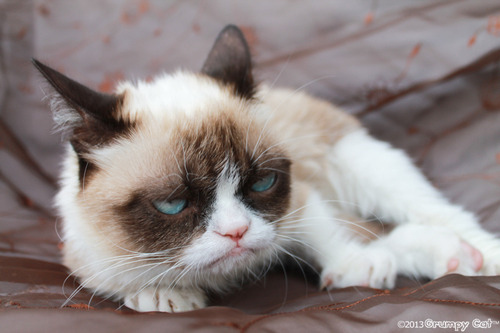 It is not always quite so obvious as grumpy cat. Sometimes it’s the absence of a smile (or even the hint of a smile), a subtle hardening of the facial muscles into a form of repressed anger that hints of extreme distaste. I have witnessed this countless times in daily life in France, where a dispute between family members, neighbours and former friends can go on for months, even years. The only outward sign of this war may be in the form of the facial expression. No words will be directly exchanged with the erring party, possibly ever again, although meaningful comments may be made indirectly through others. But rare is the Frenchman who will take the bull by the horns and air his or her, ahem, beef. This is entirely different from the English way of doing things. (By English, of course, I mean English in the broad sense including all of us Canucks, Yanks, Aussies, Kiwis, etc.). We may disagree but no matter how we feel about the other person, we will likely smile and be polite. In fact, the more we dislike the other person, the bigger the smile will be. That is something the French abhor about the English, as they consider it insincere or ‘faux cul’. ‘Faire la gueule’ means, literally, to make a face. To be in a bad mood, to sulk or generally be unhappy. ‘Avoir de la gueule’, oddly enough, means to look nice or attractive. Both of these expressions are slang and should be used with caution by non-native speakers. Be wary of any expression including the word ‘gueule’. Officially designating the snout of an animal, when applied to a human being it is one of the worst insults in the French language. In fact, if you hear a French person say, “Ta gueule!” you may wish to flee immediately. Fur is going to fly. All it really means is ‘shut up!’ But it is considered the height of rudeness. I have also heard the expression used to describe wilting flowers. “Tes fleurs font la gueule.” Oh dear. 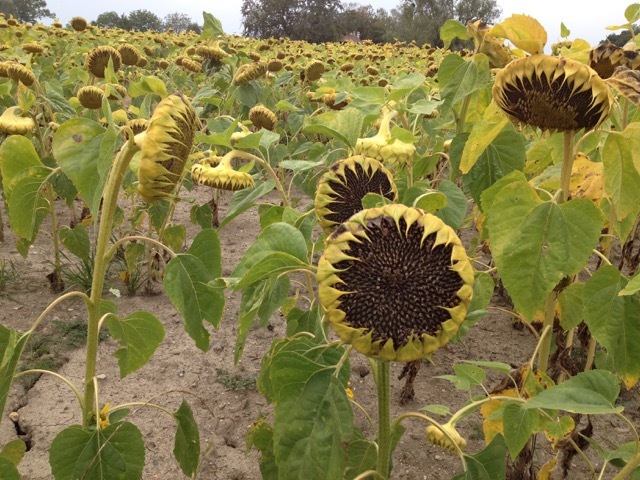 If even the flowers can sulk in France, we are in trouble. Have you ever seen this expression on a French person’s face? Or have you ever made it yourself? Thanks for sharing those souvenirs, Osyth. I definitely noticed the very direct way the Greeks have of expressing themselves – although I did not witness any actual disputes. That must be quite the thing to see! I agree it is a healthier way overall of dealing with conflict – especially ending on an ouzo! I must have French blood in my genes since Yvonne tells me when I’m cross they’v always been able to tell because my face hardens and it looks like my eyes are spitting death. Everyone avoids me when I’m like that. Though those not directly involved are usually safe but it’s hard to ascertain who is at fault unless you were there when it happened. My British blood allows me to bring it to a head and argue most of the time but if not, the eyes of stone can last a long time. I didn’t speak to my sister for years after she transgressed in my eyes.and the stare followed whenever she was mentioned as I’m strong enough to carry a grudge a long time. No-one liked to see the look when le rosbif becomes le Frog.. This cracked me up Mrs France. With family I will happily let my anger/distaste show on my face. In public however, my mouth will smile and the eyes will not. I know how you feel – I’m a bit of both, too. The North American in me is all smiley in public but people who know me can read my moods on my face in an instant. And I think living in France you must learn to adopt a less smiley persona to be taken seriously. Sulking flowers. I like that imagery ! My face is like an open book – I cannot hide my true feelings from anyone! ahhaa I’ve not mastered my poker face at all. I love that you can see the falseness in even sublte facial language. Often I try to look blank like the words are meaningless to me…but I’m sure I flush in the face! There is still plenty to read on someone’s face even if they are being overly fake too. That was always my downfall too. I’ve often been told: “You don’t support fools lightly.” But life has forced me to learn to control my emotions or at least keep them off my face to some degree. As you say, when you know the signs it is easy to read them on even the most fake. Cheers! I so recognise that look! Useful to know what it’s called. I am practising it right now so I can use it on next time we are in France. There is so many more facial expressions & muscles used simply in speaking the French language than in most others , let alone pulling the appropriate faces. Is this why French women keep their facial contours firm in later middle age? And there was me thinking that it was L’oreal or Clinique……….